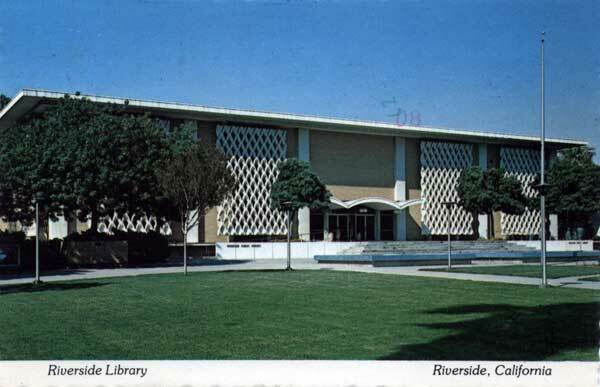 Definitely one of Riverside's best mid-century buildings -- and certainly its most under-appreciated -- the downtown Main Library (a.k.a. 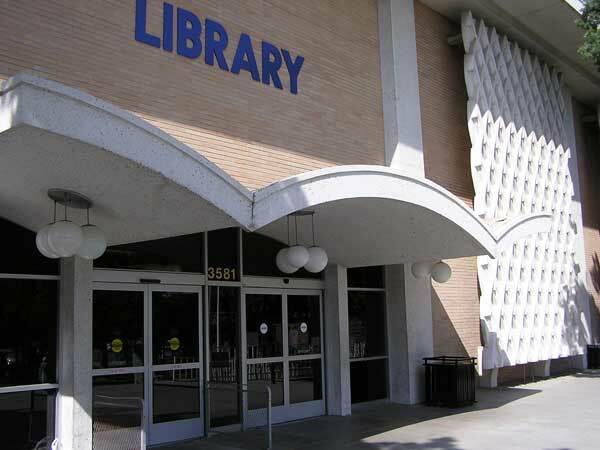 Central Library) has spent most of its time suffering from harsh criticism. 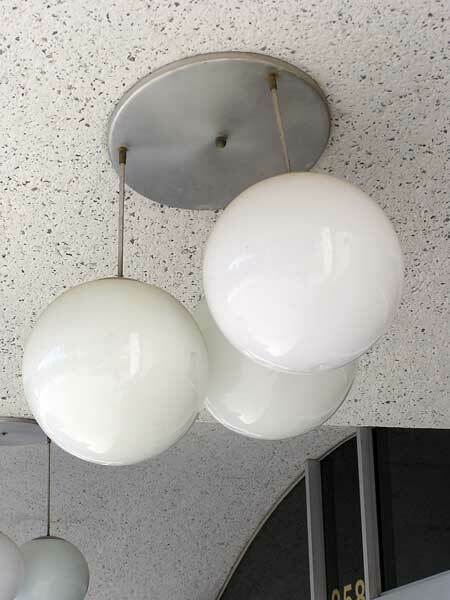 In the past few years, however, there has been growing support for the library's mid-century designs. Most of this support has tended to come from those that know only the "modern" library and never had a chance to visit the classic Carnegie. And now, nearly 50 years after having opened, to these eyes, the "modern" library is indeed a bit historic (just like the 1903 Carnegie was to many in the early 1960s at approximately the same age). 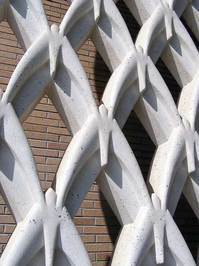 But appreciation has also been growing from all generations once folks become more aware of and better understand the context about some of the library's modernist designs, namely its iconic "dove" screens. To wit, we have the "Did You Know?" informational sheet. Continue reading Sharing a bit of library love. 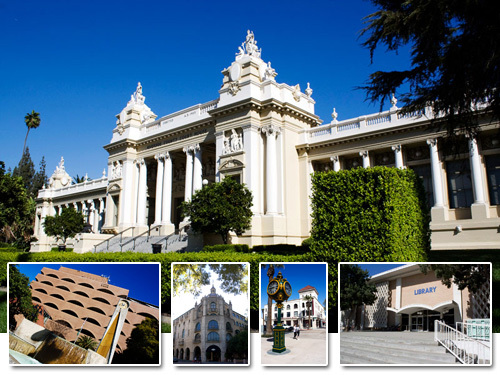 Last Tuesday, the Riverside City Council approved in concept the recommendations for the future expansions of downtown's Main Library and Riverside Metropolitan Museum as outlined by a community task force. 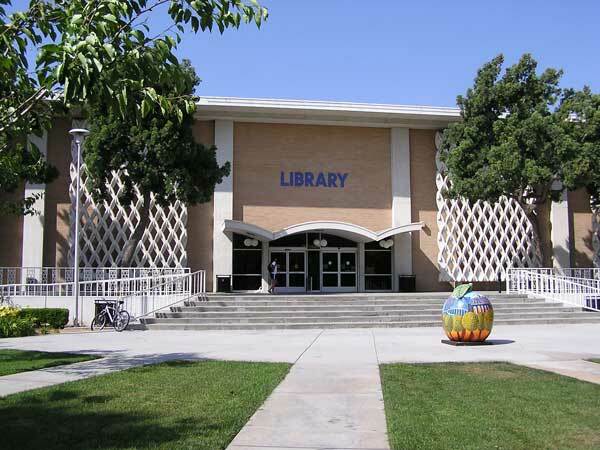 The recommendations, which have also been endorsed by the governing boards of both institutions, call for the library to double in size to 120,000 square feet and the museum expansion to total 70,000 square feet. The task force also recommended the final proposal should provide adequate parking facilities and retain the Chinese Pavilion in its current spot. The approvals come after several months of public hearings that began following a public meeting held in January on the original joint-use expansion proposal. Public opposition to the plan led to the formation of a 22-member task force that was given the job of revising the original proposal. Next up will be two workshops -- an October meeting to formalize actual space needs and a second set for November to discuss design and funding aspects. After several months of public meetings, the 22-member Library/Museum task force held its final session this past week, producing what it calls "guiding principles" for the planned expansions of downtown's Central Library and Riverside Metropolitan Museum. The key recommendation calls for separate expansions of both facilities, with enough space for each to meet their needs. 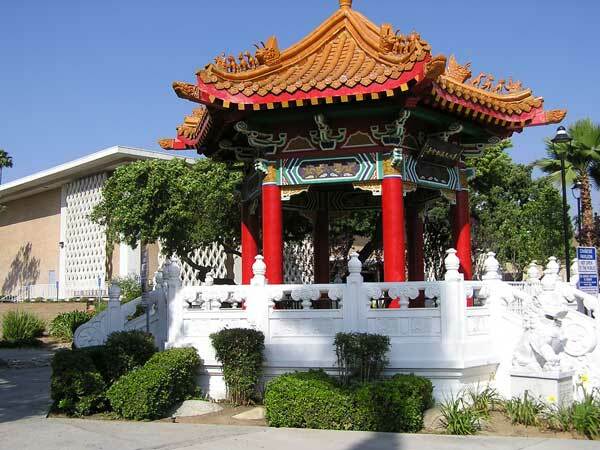 As part of the recommendation, the panel urged the city to expedite funding and approval of the expansions and also emphasized its desire to see the Chinese Memorial Pavilion remain in its current spot, which we're glad to see. The city's Board of Library Trustees has already endorsed the guidelines with the museum board set to vote on the matter July 8. The guidelines will then go before the City Council for review on August 12. 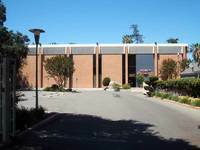 Recently, two opposing viewpoints concerning the existing library building appeared in The Press-Enterprise (one | two). Though both articles make good points, it should be no surprise that we agree with Steve Lech in that demolishing the current building would be akin to demolishing the original Carnegie back in 1965. It shouldn't have been done then -- and it shouldn't be done now. The past two weekends saw us at opposite ends of Riverside. Last weekend, we had the chance to take in the reopened Arlington Branch Library. While there, we took a few photos of the nearby Arlington Village commercial area. This weekend, we spent some time downtown checking in on the refurbishing of the Main Street Pedestrian Mall. About 5 miles southwest of downtown Riverside sits Arlington Village. Located at the corner of Magnolia Avenue and Van Buren Boulevard, the village hails from what was originally known as the Town of Arlington. 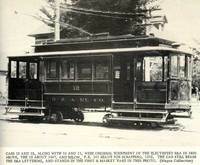 Founded in 1877 by prominent Riversiders S.C. Evans and William Sayward, Arlington was in many ways Riverside's first suburb, with streetcars* running between the two towns. 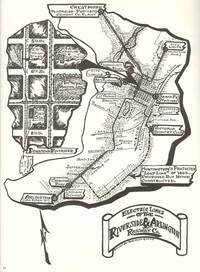 As such, it was included within Riverside's boundaries upon official incorporation in 1883. 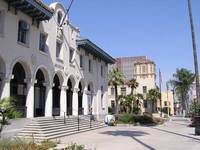 By the early 1900s, the area contained a library, fire station, newspaper office, two-story commercial building, local schools, churches and several businesses. 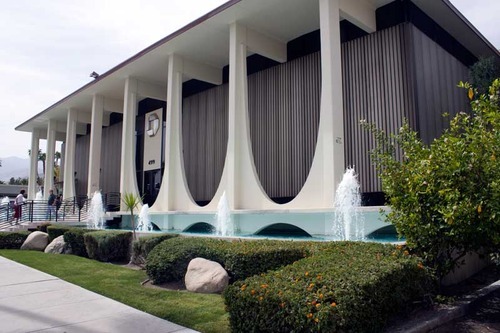 The commercial area thrived well into the 1960s, partly on account of being the nearby home to Riverside County General Hospital, a place where it would remain for 100 years before a new county hospital opened in Moreno Valley in 1998. About a mile south of Arlington Village is the land that sprouted much of Riverside's famous Washington Navel orange groves. Today, the area still includes large swaths of groves thanks in part to the Arlington Heights Greenbelt citrus preserve. 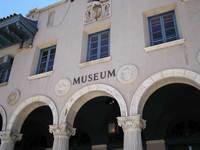 It also includes the 377-acre California Citrus State Historic Park -- an actual working citrus grove, museum and park. Fifty years after the Riverside Freeway and nearly 40 years after the nearby Galleria at Tyler reduced the importance of the area as a major commercial center, Arlington Village is staging a comeback. Recent street and sidewalk improvements and refurbished storefronts have given the neighborhood new life. 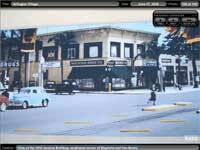 Besides the newly-expanded library, a recent addition to the village is a large wall mural composed from photographs depicting Magnolia Avenue at Van Buren Boulevard during the 1940s. With a bit of vision and planning -- and a small residential townhome/condo component -- the village could easily sprout into a nice, semi-urban landscape consisting of more restaurants and shops all within easy walking distance. Concurrent work also continues on the old Rouse Building -- the soon-to-be UCR/Culver Center of the Arts -- as well as the reopening of Ninth Street through the mall adjacent to City Hall. Nearby, foundation work is moving along at the Regency Tower site, located at Tenth and Orange streets. 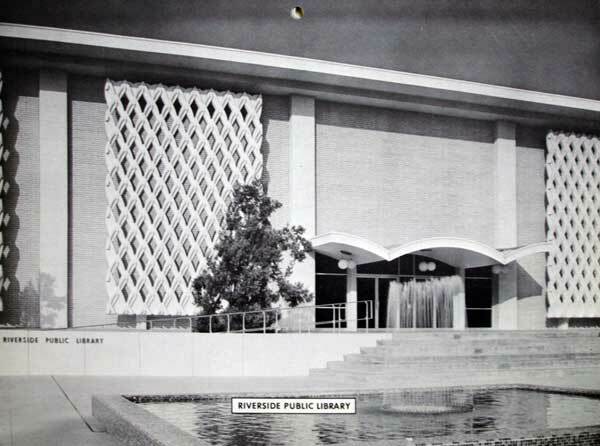 A City Council-appointed task force assigned with revising Riverside's library-museum expansion plans issued its draft recommendation this week calling for separate expansions for both institutions. The recommendation, which would reverse the city's earlier combined expansion proposal, comes after several recent public meetings on the issue. Most critics of the original $25 million proposal -- part of the city's Riverside Renaissance Initiative -- feared joint expansion would shortchange both entities. That plan called for an approximately 35,000 sq. ft. expansion: 9,500 sq. ft. children's section, 10,500 sq. ft. community/office space (with 250-seat auditorium) and up to 15,000 sq. ft. exhibition/flex space. 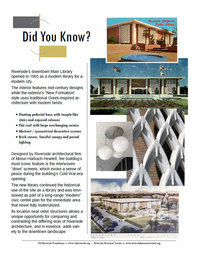 Drawn up by Pfeiffer Partners Architects, Inc., the plan expanded outward in front of the current library, including displacement of the Chinese Memorial Pavilion. Since then, several community members, residents and various civic groups have voiced opinions on the matter. The "Committee to Renew the Library" and "The Raincross Group" have both considered plans of their own, the latter recommending a 60,000 sq. 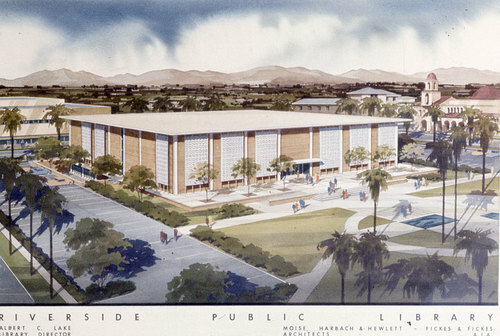 ft. library expansion (basement plus two stories) in front of the current library (sparing the Chinese Pavilion); and, a 30,000 sq. ft. museum expansion (3 stories) behind the current museum. Estimates for both expansions are $38 million -- approximately $13 million more than the original joint-expansion project. The task force's draft recommendation of separate expansions now moves ahead for a public hearing scheduled for June 18, after which a final task force meeting on June 25 will address any changes before forwarding the panel's final recommendation to the City Council (scheduled for August 12). Whatever the final outcome, we agree both institutions should remain downtown at their current locations. Likewise, we'd prefer to see neither building's architecture severely compromised with any future expansions. Though many may say the current architecture of the library does not fit its immediate surroundings, we believe it has its own architectural merits (one | two | three) on which to stand, and thus, should not be significantly altered. 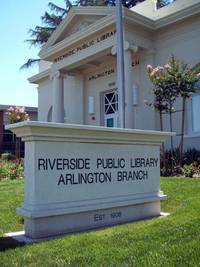 After nearly 2 years of construction and renovation, Riverside's Arlington Branch Library reopened to the public this past week following an 8,000 sq. ft. addition to the 99-year-old building. The new wing nearly triples the size of the current library to 13,000 sq. ft. The new addition mimics the original building's Greek Revival styling, which was designed by local architect Seeley L. Pillar. 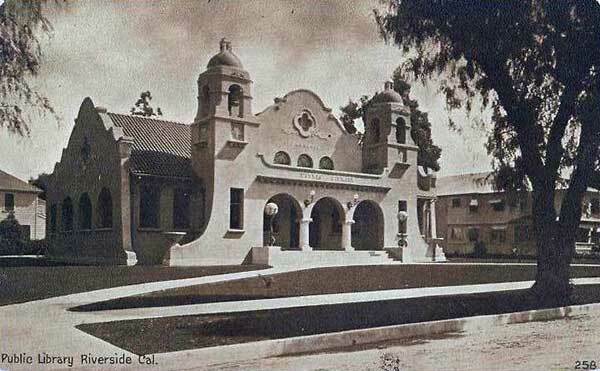 When it first opened on June 1, 1909, the new library was the city's first "branch" library and was built to serve the southern and western portions of Riverside. Though not technically a Carnegie library, the city built the Arlington Branch after obtaining $7,500 from the Carnegie Foundation for expanding the downtown library. The grant used for the downtown expansion freed up $7,500 for the new Arlington library, which also included a fire station attached to the back of the building. A year-long, $8,000 renovation began in 1927 to upgrade the library after it was declared structurally unsafe, causing a temporary closure. 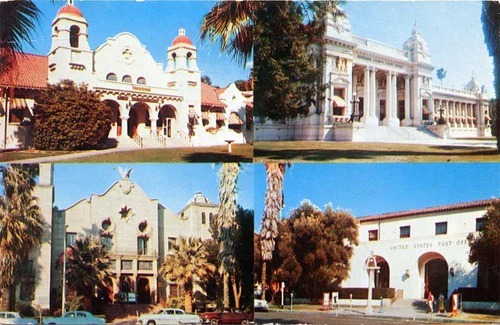 Subsequent renovations and expansions over the years included an extensive rehab during the late 1950s; the re-use of the space housing the former fire station in 1968 (which had relocated to a separate building about a quarter-mile east on Magnolia Avenue in 1938); and another renovation in 1996. Today, the new wing houses the majority of the library's collection of 45,000 titles. An expanded children's section, lower shelving heights and several seating areas help give the new addition a bookstore atmosphere, while natural lighting provided by expansive windows and skylights gives the library an open-air feel. Thirty-four computers and 2 self-checkout stations round out the expanded facility. The former main room in the original building is now a 110-seat community room. 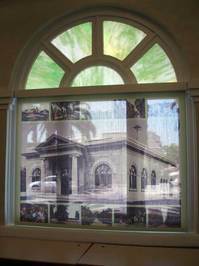 Historic photographs of Riverside's past act as translucent shades on the windows that surround the room. In a nod to the building's past, the library's new entrance uses the old stable building from the days when the structure housed the fire station. Located in this new foyer are two glass cases housing both fire- and citrus-related memorabilia from the city's past. The reopening of the Arlington Branch is the latest improvement made to the city's 7-branch library system, which is in the midst of its largest building and renovation campaign in its history. Other projects include the soon-to-open Orange Terrace Branch Library, the relocation of the Marcy Branch Library and the expansion/renovation of downtown's Central Library. 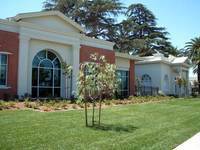 It also comes on the heels of the recent expansions/renovations at the Eastside Library/Cybrary and the La Sierra Branch Library as well as the opening of the Casa Blanca Library & Family Learning Center a few years back. This past week saw the first meeting of the city's newly-formed "blue ribbon" task force for the combined downtown library-museum expansion project, which stalled in recent months following public comments questioning the viability of joint-use expansion. Members of the committee, comprised of seasoned Riverside civic leaders, have been given the task of formulating a plan, namely whether the project should encompass a shared-space expansion as originally proposed or separate expansions. Although there are benefits of a combined expansion -- shared overall costs, efficient use of flexible space and even natural synergies -- the plan, as first proposed, fails to provide enough independent space for each entity. As it stands now, the city's main branch library -- aka, the "Central Library" -- is housed within a 61,000 sq. ft. building that opened in 1964/65. 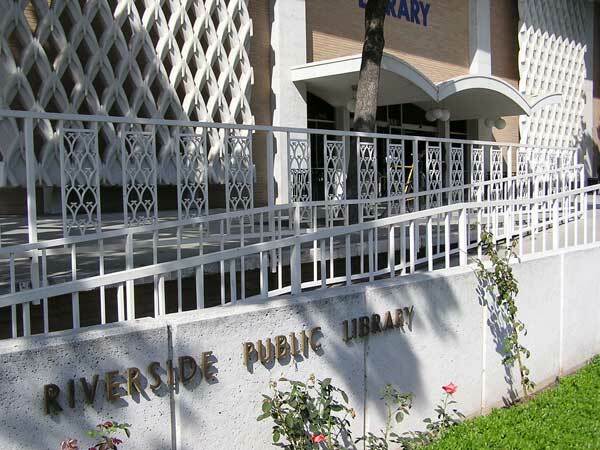 According to a study by a citizen's group, Riverside's current main library ranks 19th in space per capita (.21) when compared against 24 other Southern California cities with populations between 100,000 and 500,000. The study concluded the city's main library would need to double in size just to reach the per capita median (.42) -- a figure the combined library-museum expansion of 30,000 sq. ft. would clearly fail to meet. Across from the main library sits the Riverside Metropolitan Museum. 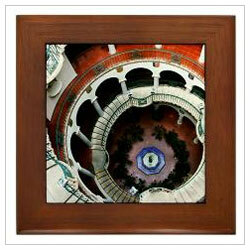 Located within a building originally constructed in 1912 by the U.S. Postal Service, the museum initially occupied the basement beginning in 1948 (with the city's police department taking up the remainder). 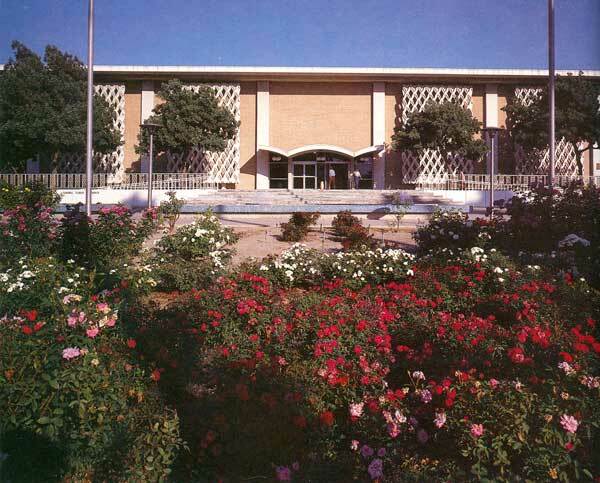 Full occupancy by the museum came in 1965 upon completion of a new police headquarters nearby. 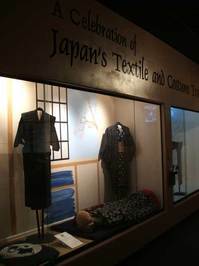 Museum officials say the current building lacks the space and amenities needed for hosting major exhibits. They also cite the need for more storage space. Thus, the reasons for expansion. 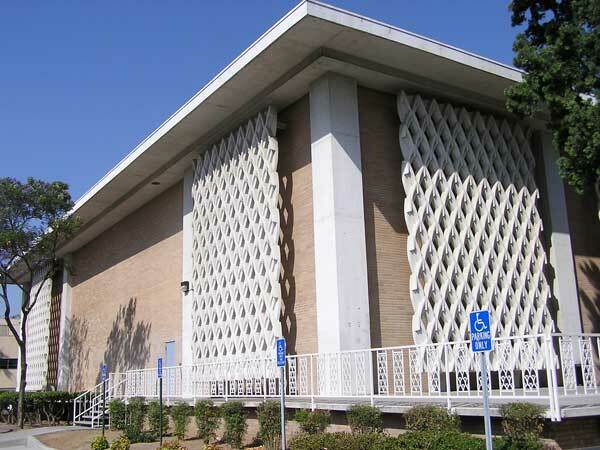 Finally, regardless of the final outcome -- whether joint or independent expansion -- our hope is that neither building's exterior gets extensively altered, particularly the library's striking mid-century modern architecture. Though ridiculed for most of its 44-year existence, the building's exterior is in fact an excellent example of the New Formalism style of architecture (a style beginning to receive its due props elsewhere). Of course, we've gone on record before stating our admiration for the building's style. And it appears others are beginning to appreciate it as well (one, two, three). Upcoming meetings for the blue ribbon committee are scheduled for City Hall on April 23, May 19, and June 6 and 7.